A young English teacher falls—glass first—into a love affair and the world of wine when he meets a famous and enchanting sommelier.Before Peter Hapworth meets Izzy, he knows the difference between Pinot Noir and peanut butter, but that’s about it. Lonely and frustrated with his academic career—as well as with dating—his life takes a sudden turn one night when he turns on the television. He’s transfixed by the woman staring back at him, a glass of wine swirling delicately in her hand—Isabelle Conway, one of the preeminent sommeliers in the world. There’s something about her. Somehow, he feels like he already knows her.On a whim, he pitches himself as a guest on her popular TV show, and the two embark on a whirlwind courtship. But relationships require a delicate balance of nurturing and belief, much like winemaking. 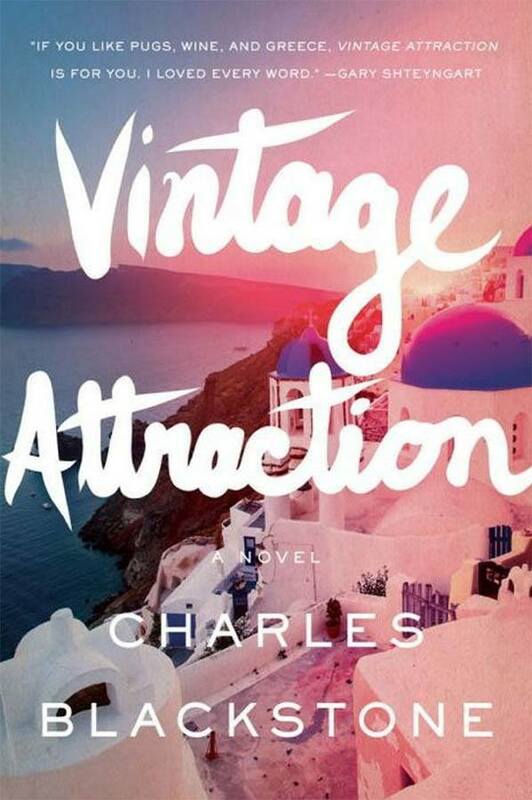 Hapworth and Izzy must navigate the complex mysteries of wine—and the heart—from glamorous social events and domestic travails in Chicago to the vineyards and rocky bluffs of Santorini in Greece.Vintage Attraction is arich and insightful novel by an exciting, young literary talent.